RTSea Blog: observations on oceans, sharks and nature: Fracking For Natural Gas: economically beneficial but is it safe? Fracking For Natural Gas: economically beneficial but is it safe? To meet its immediate energy needs and perhaps stimulate a sluggish economic recovery, the United States is having to wrestle with several complex options. One is oil drilling in the Arctic regions - which was recently covered here in a guest post last month. 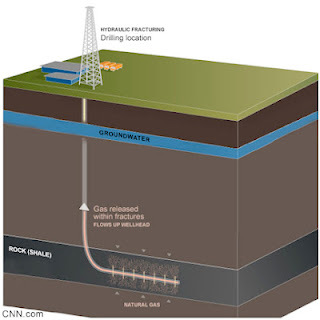 And the other is natural gas extraction through hydraulic fracturing, or fracking. Fracking is a high-tech method of drilling for natural gas - and sometimes oil - by drilling deep into a shale layer, then drilling horizontally and injecting high pressure water, sand and chemicals to actually fracture or crack the surrounding shale. Through those man-made fissures seeps the natural gas for extraction to the surface. To reach the deep layers of shale, the wells may drill through freshwater aquifers that feed into groundwater supplies used by cities. And to ensure against leaks into the groundwater, the vertical drilling well will be encased in cement. The water that is used in the fracking process, some 50,000 to 350,000 gallons, is returned to the surface and cleaned of contaminants and, in some cases, reused in other wells for more fracking. The oil companies currently involved in this process are seeing results and so they are rallying politicians for support as an expansion in the use of hydraulic fracturing wells can mean more jobs, an increase in domestic supplies, and a reduction in costs for the end user. Coming as no surprise, the energy companies claim that fracking is completely safe to the environment. I don't mention the BP oil spill in the Gulf of Mexico as an indictment of those involved in fracking. It's more of a reminder that new technology can and often will backfire; it's just part of the learning curve. But the consequences in these cases can be enormous. The energy and oil industry, either through industry associations or directly from the companies themselves, are lining up their company-paid scientists and their reports that denounce the likelihood of fracking posing any risk to groundwater supplies. The opponents of fracking are also bringing their reports to the table, often in the form of geological studies and computer modeling that claim that fluids from hydraulic fracturing can migrate through the shale and reach groundwater supplies in as little as several years. Politicians and other policy makers or regulators are caught between energy industry proponents and their cherry-picked studies and opponents, typically backed by environmental groups, and their contrary studies. This past Wednesday, Bloomberg.com reported on a study that called into question the safety of hydraulic fracturing for natural gas. "The fluids can migrate faster that previously thought, Tom Myers, a Reno, Nevada, researcher, said yesterday. His study, published in the online journal Ground Water on April 17, says fluids can reach shallow drinking-water aquifers in as little as three years." Myers' report was commissioned by Catskill Mountainkeeper, a New York-based environmental group, so the energy industry is, predictably, citing a lack of objectivity. But is it any different than the scientists and reports that the industry presents in favor of fracking? According to an opinion piece by Fareed Zakaria in CNN.com, "The environmental concerns are well taken. But the best studies out now — such as one by a committee that included the head of the Environmental Defense Fund — suggest that fracking can be done in a safe and responsible manner. Many of the riskiest practices are employed by a small number of the lowest-cost producers, a situation that calls for sensible regulation. Larger companies would probably welcome a set of rules, because they would want to follow best practices to protect their reputation and brand." 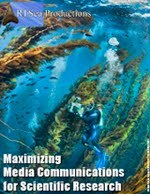 Sensible regulation - that which was in place in the Gulf of Mexico? This is my biggest concern. The economic implications of hydraulic fracturing for natural gas - locally, nationally, and even globally - I fear will make it a fete de compli. However, if the regulations are not in place to manage all companies - big or small - or if the potential learning curve accident does occurs, it will not be something that can be easily cleaned up with paper towels or dispersants. Contaminants seeping up from thousands of feet below the surface may take many decades to present themselves, according to Myers, but when they do they can spoil water supplies for thousands of people for decades more. Due to the economic short-term benefits, hydraulic fracturing may be an inevitable step in man's quest for energy but, given our growing requirements for fresh water ("Worldwide water use is growing twice as fast as population. An estimated one billion people today lack access to safe water and by 2025 up to half of the world's people will be vulnerable to water shortages." 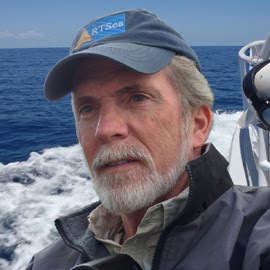 Jerry Jasinowski, Huffington Post), I could only support it if it is something carried out in a highly regulated environment that includes fault zone studies, preliminary monitoring wells to track hydrology before fracking begins, and ongoing observation of drilling operations. And with all of that, I'll still be worried. I agree. It will not be smart to simply disregard the effects that fracking can bring to the health and safety of the people as well as to the environment even with the benefits that it promise. There are other sources of energy to explore without causing too much risk.